A train derailed in Taiwan on Sunday, causing a number of fatalities and injuring hundreds of passengers. Two theories emerged as to why the train went off the tracks, both involving brakes. Lai Sui-chin, vice chairman of the transport ministry’s electrical engineering department, said that it appeared that pressure in the brakes was unstable before the derailment. He said there wouldn’t be enough power to brake the train if the air pressure was too low. A critical safety system may not have been operating on a Taiwanese train that crashed Sunday, killing 18 people and injuring at least 187 others, according to the director-general of the Taiwan Railways Administration. 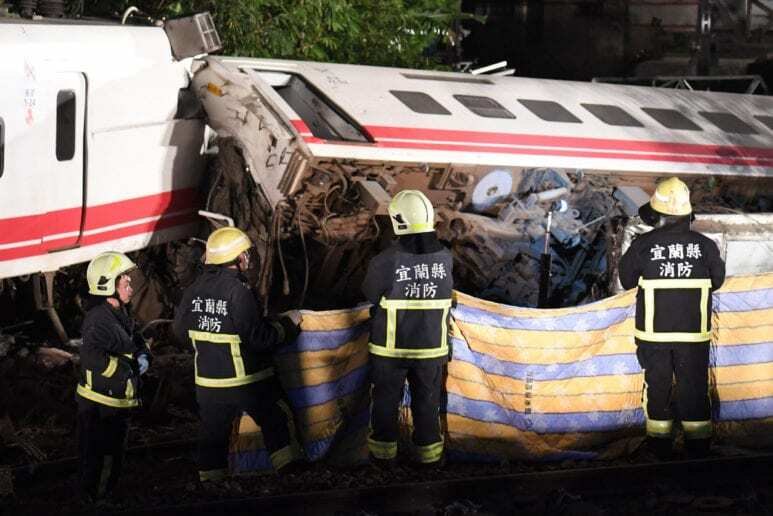 Lu Chieh-shen said he suspected that the driver of the train had switched off his automatic train protection system, which applies the brake automatically whenever a train exceeds the speed limit, Taiwan’s Central News Agency reported Monday. However, Mr. Lu stressed in the interview it was too early to know for sure what had caused the island’s worst rail disaster in almost three decades.